Acupuncture is method of treatment very specific for Chinese medicine and mostly associated with TCM used for more over 3000 years. It is complicated system based on diagnosis and balancing of vital energy in channels and in organs, to increase it in deficiency and decrease or move in excess. 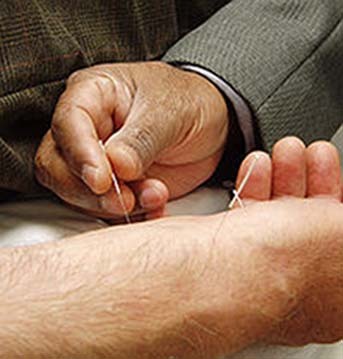 Puncturing relevant acupuncture points on the body, mainly attributable to the acupuncture channels, allows to achieve the desired therapeutic effect through appropriate selection of points, their combination, various techniques of puncturing (i.e. direction, depth), duration of treatment and needle techniques manipulation.